THE TORCH DOHA, member of Leading Hotels of the World has recently launched the TORCH Wellness Initiative in collaboration with ASPETAR. The healthy food concept is empowered by ASPETAR Nutrition Team and is now available through a range of A la Carte specialties in restaurants and lounges at THE TORCH DOHA Hotel. 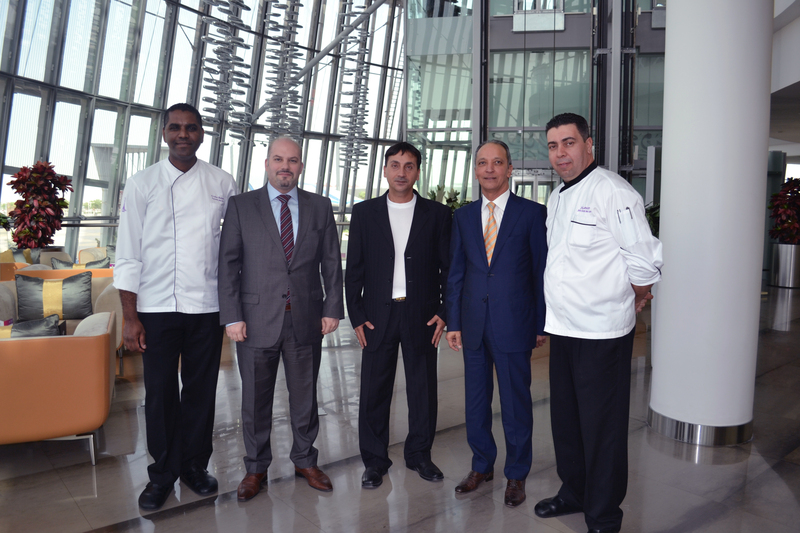 Within the past weeks, 20 chefs from THE TORCH DOHA have undergone training in order to gain a better understanding of the Wellness concept and to ensure a successful implementation of the program. 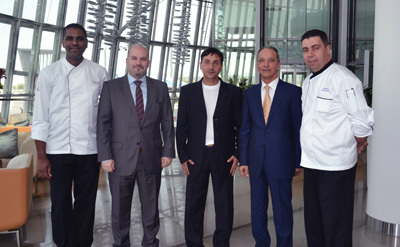 The chefs are key associates in different sections of the kitchen at the hotel. The Wellness training will continue after the first implementation stage of the concept, so that all chefs will have the proper expertise and continue awareness of healthy food choices. At 300m high and with 360° panoramic views across the whole of Doha, The Torch is the flagship project situated at the heart of Aspire Zone. The tower is the result of comprehensive architectural, engineering and technical design, shaped to represent a colossal torch. The unique structure of The Torch Doha includes 17 floor of five-star hotel accommodation featuring 163 rooms and suites equipped with iPad; three signature restaurants, a breathtaking revolving restaurant at 240m above ground, two levels of Health Club with a cantilevered swimming pool 80m above ground, fitness facilities with state-of-the-art equipment, as well as a walkway access to Doha’s largest shopping mall Villaggio. For the duration of World Cup 2022 The Torch Doha will be the main hub for sports teams and personalities.